From 18 to 22 July 2018 Milan hosts the Italian stage of the International Festival of Innovation and Creativity where tens of thousands of young people and guests from all over the world work together day and night to (re)plan the future together..
Milan, Italy – 2018 – Five days (and four nights) non-stop, 4,000 tents, 7 stages, 20,000 visitors expected, 350 speakers from all over the world, 450 hours of content, hundreds of partners including companies, institutions, communities and universities. From 18 July to 22 July, Milan will be the city with the highest concentration of digital youth. In fact the second edition of Campus Party is almost here, the Italian stage of the biggest international innovation and creativity festival. Campus Party‘s invitation is challenging: “Let’s rewrite Italy’s source code together”. A full immersion experience of the purest technology dedicated to young people between 18 and 35 years of age. For five days, the “developers” of the future work together to create something, with the participation of companies, institutions, communities and universities that share their experiences as they strive to change the country. Activities scheduled 24 hours a day, but also a Tent Village (supplied by event organisers) where participants can dream of new dimensions. 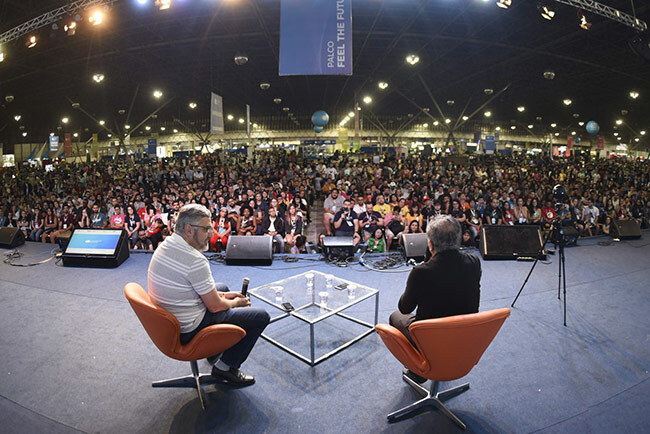 Campus Party is an event where you can find inspiration, education and 24 hour debates on hot topics of the future involving five areas: science, entrepreneurship, coding, entertainment and creativity. Here converge the destinies and talents of those who already work or dream of working in the fields of robotics or space engineering, digital entertainment and programming, blockchain and gaming, computer graphics and virtual and augmented reality, biohacking and man/technology fusion but also electronic music, storytelling, 3D animation, open source and other codes that will be invented. “Campus Party is pure innovation and creativity“, explains Carlo Cozza, President of Campus Party Global. “because the sharing of passions and interests provides an opportunity to spark those ideas that will change the future of the world. Campus Party Italy’s objective is to become the point of reference for innovation in our country”. The event therefore becomes a great container of opportunities, allowing those present to shine in front of the best Italian and international companies. Campus Party’s main partners are AXA, the first insurance brand in the world that seeks every day to work as partners with its customers and help them live better, Nexi, the paytech of the banks, leader in Italy in digital payments, and IGPDecaux, number one in outdoor communication in Italy for its ability to enhance public spaces and services, making cities more and more smart. An important new feature of this edition is the Job Factory, an area where participants and companies can get to know each other and carry out different activities together. A truly unique opportunity to introduce yourself to managers and business executives, show your talent, exchange opinions with them and find work! Arena: the heart of the event, with 7 stages hosting speakers, panels and interviews, 4 workshop areas and 1 BarCamp, with leading national and international speakers. 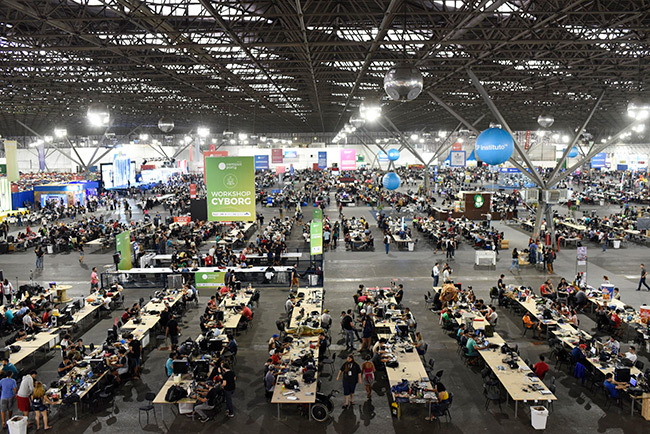 The place for work and challenges with numerous CPHacks – Campus Party’s exclusive hackathon format – organised in partnership with tree, Open Innovation Partner of the event. The Arena is also the place for endless fun, with Meet&Greets, special activities, DJ sets and activities that are self-managed by the participants. Experience: where you can touch the future and innovative technologies – robots, VR, AR, simulators, tournaments and areas dedicated to gaming and eSports. Furthermore, makers, companies, institutions and universities present state-of-the-art solutions and projects. Village: the campus rest area where you can share the experience of the event. 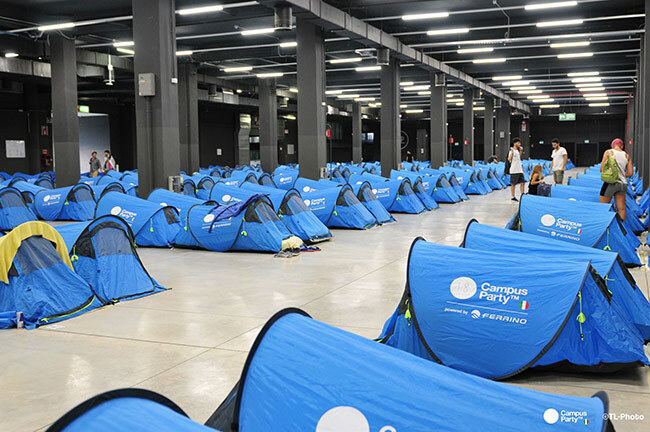 With an actual campsite set up inside the exhibition centre, where you can rest or sleep in tents provided by the organisation for the duration of the event and find other facilities dedicated to relaxation that make Campus Party the largest geek campsite in the world. More than 350 speakers will cross the stages at Campus Party, including the keynote speakers Guido Tonelli, physicist talking about the CMS project at CERN that discovered the Higgs Boson; Jon “Maddog” Hall, Executive Director of Linux Foundation; Edward Frenkel, mathematics professor from the University of Berkeley in California and author of the bestseller Love and Math and George Hotz, programmer and hacker from the US, the first to jailbreak the iPhone 3S and to hack the PlayStation 3. There will be no shortage of voices on every topical stage, including Fernando Ferroni, president of the National Institute of Nuclear Physics, Matteo Flora, expert of computer security and digital reputation. Víctor Pérez, who worked on the special effects of Harry Potter and the Deathly Hallows and Rogue One: A Star Wars Story. James Hughes, Executive Director of the Institute for Ethics and Emerging Technologies and author of Citizen Cyborg: Why Democratic Societies Must Respond to the Redesigned Human of the Future, in which he affirms that the post-human future is only possible through a fusion with technology. In the evening participants will be entertained by the 8bit music concert with Fabio Bortolotti – aka Kenobit – who will play his Game Boy.